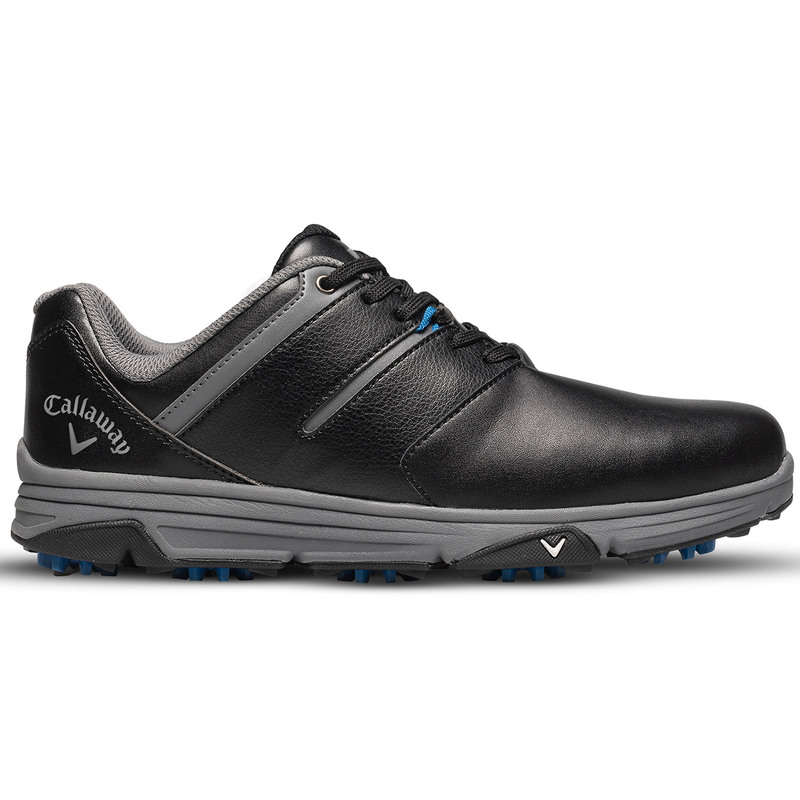 Callaway Golf has designed the new Chev series shoes with a leather upper material, these are lightweight and waterproof, with permanent cleat design and rubber traction elements for high-performance straight out of the box. 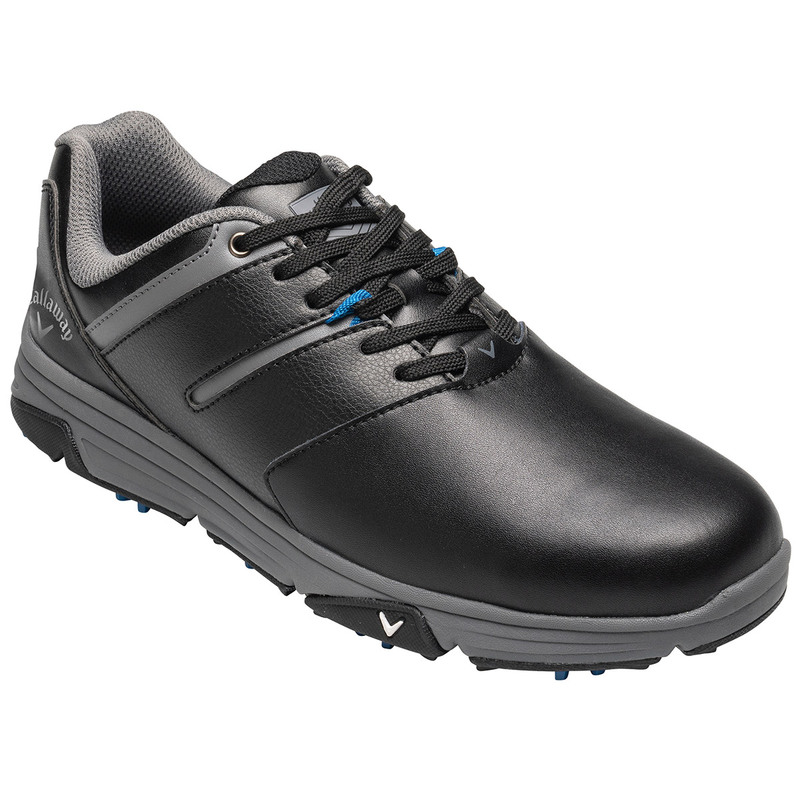 The leather is naturally waterproof and breathable, enhanced with an Opti-Vent mesh lining which provides even more breathability and heat control. 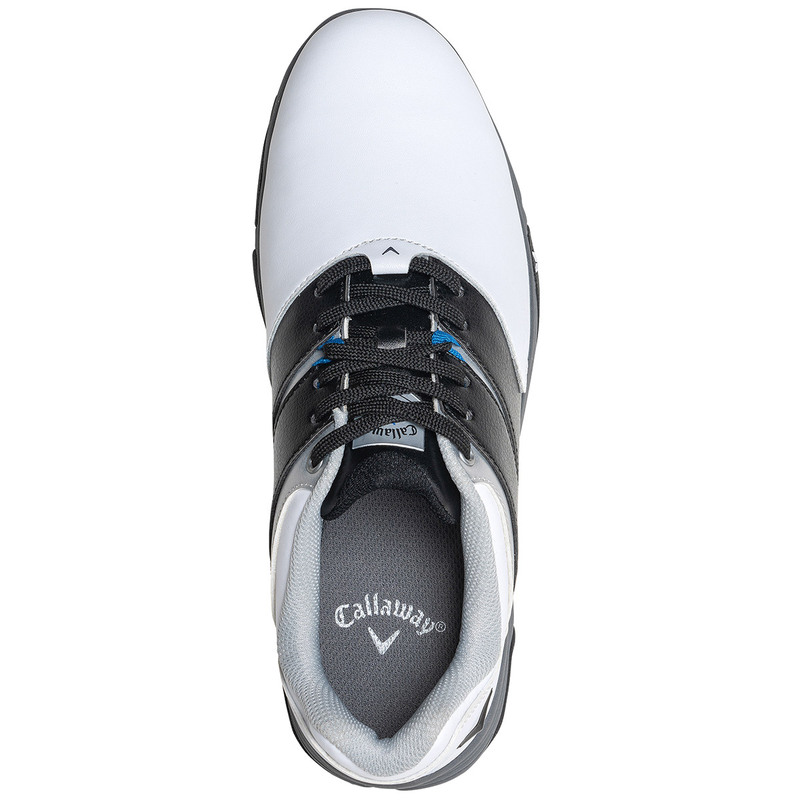 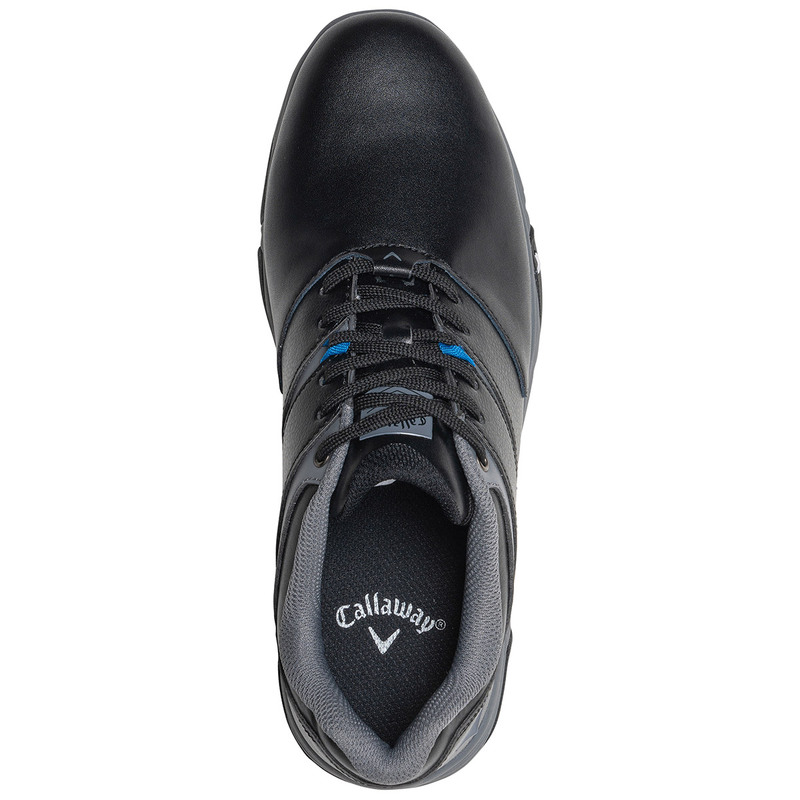 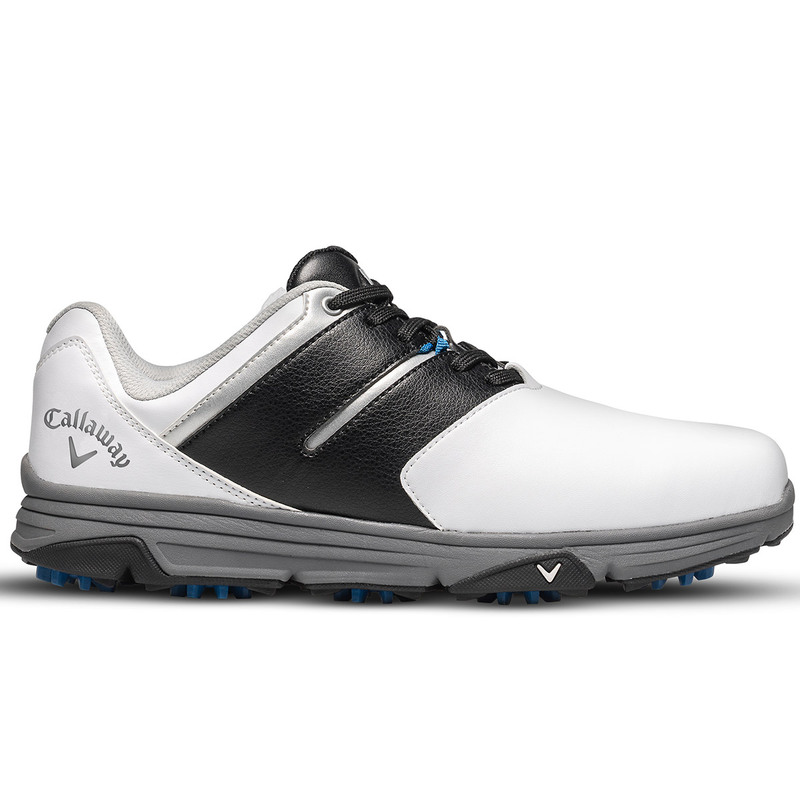 The shoe has been designed with an Opti-Soft EVA midsole, this cushioning layer provides a more natural ground feel, with a Callaway comfort footbed for even more cushioning. 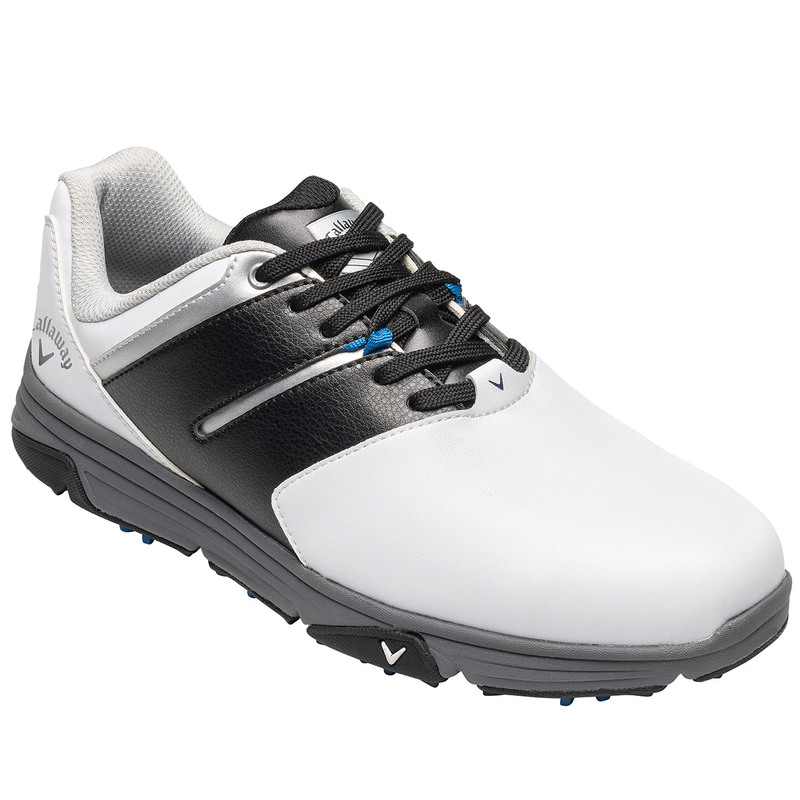 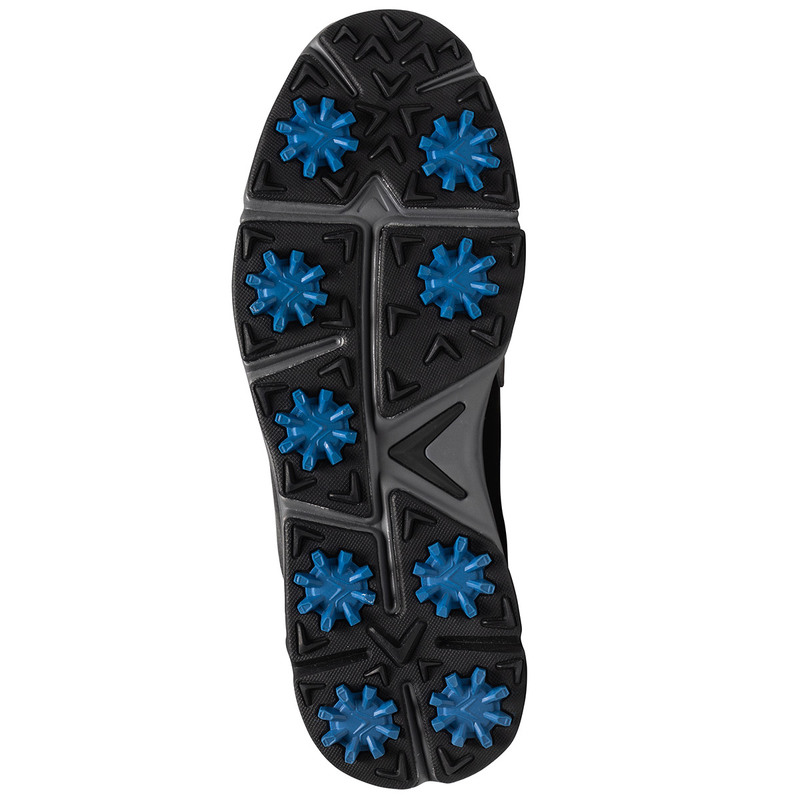 Grip and control are essential when you are playing golf, and to give you a top performance the shoes are enhanced with a rubber outsole with permanent traction elements. 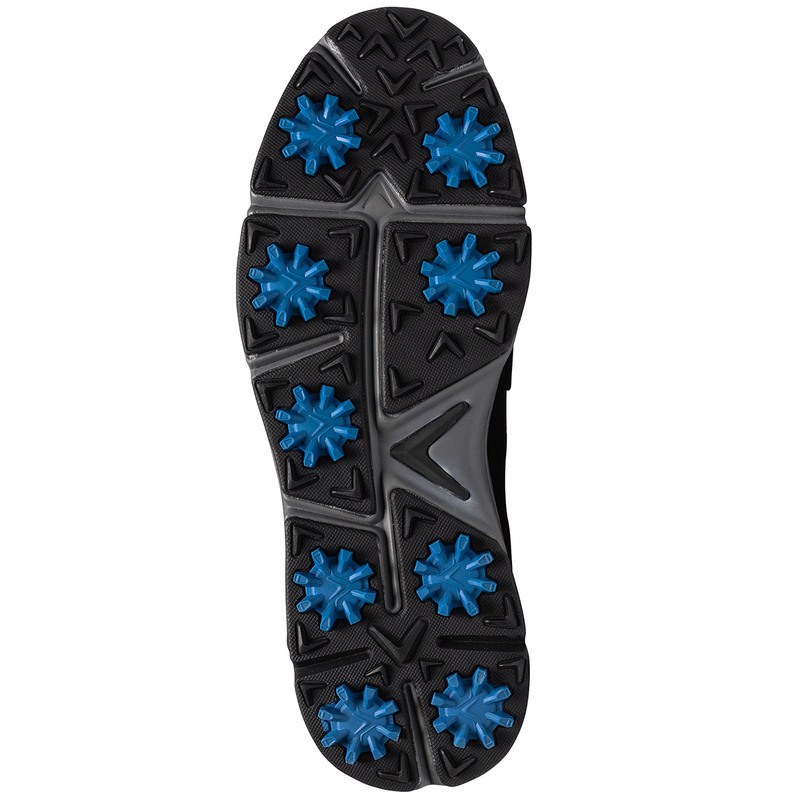 9 non-removable cleats give you the best possible performance no matter how tough the course conditions are.